Note: You must preregister for these sessions. Shamanism is a spiritual practice that uses ancient healing techniques to empower and strengthen the spirit, thus promoting emotional and physical healing. When working with clients, Tess first takes a Shamanic journey to her council of Spirit Teachers who, along with the Karmic Masters, determine the technique or techniques that are best suited for the client. After a brief consultation with her client regarding the wisdom of the Spirits, Tess uses any of the following healing disciplines or a combination thereof to begin the client’s path to wellness: Soul Retrieval, Shamanic Extraction, Power Animal Retrieval, Spirit Attachment Resolution, Crystal Healing, Healing with Eternal Light, Divination and Past Life Regression. Tess has been practicing core Shamanism for over 25 years. In the 1990s, she had a thriving Shamanic Healing Practice in the New York Metropolitan area, where she was blessed to have worked with people from all walks of life, cultures, and belief systems. Through this work, she discovered that Shamanic Healing transcends all boundaries of religion, education, and culture, and that during a healing session the work presents itself in a way that meets the specific needs of each client and is most meaningful and effective for him or her. 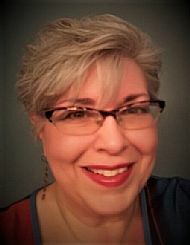 Tess is delighted to announce that after a 12-year sabbatical to raise her daughter, she is re-opening her healing practice and will be booking clients at It’s Your Journey in Huron, Ohio. Tess studied Shamanism and Shamanic Healing with some of the most well-known teachers in the world, including Sandra Ingerman, author of Soul Retrieval, which launched the return of this ancient practice back into core Shamanism; Nan Moss & David Corbin through Michael Harner’s Foundation for Shamanic Studies; author, teacher and Shaman Lynn Andrews; and Celtic Shaman and Author of Fire in the Head, Tom Cowan. Tess received her hypnotherapy training with Paul Aurand, an award-winning Master Hypnotherapist and current Director of Education and Teacher with The Newton Institute for Life Between Lives Training and is an ordained minister through the Universal Life Church. Tess is also an advocate for mental health and is a teacher and support group leader for NAMI Lorain County. Tess lives in Avon Lake with her teenage daughter and their cat, Luna.